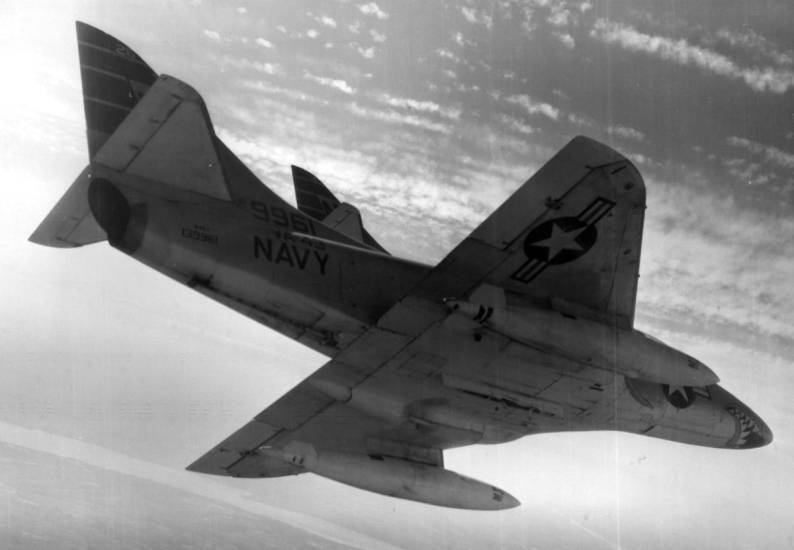 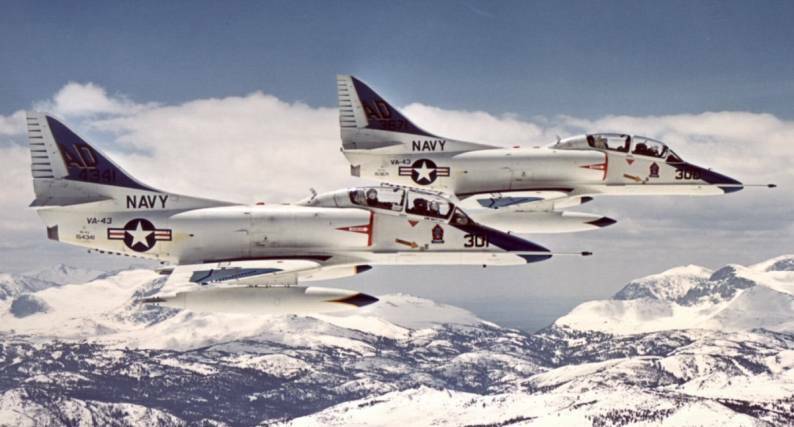 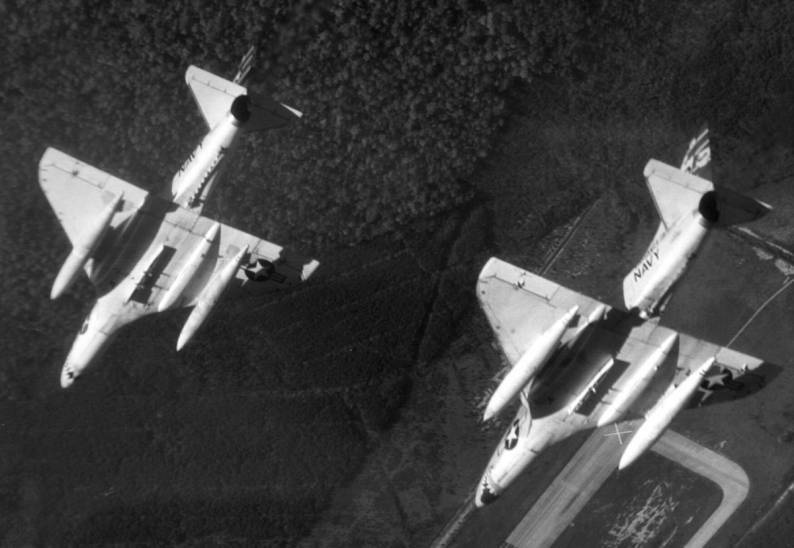 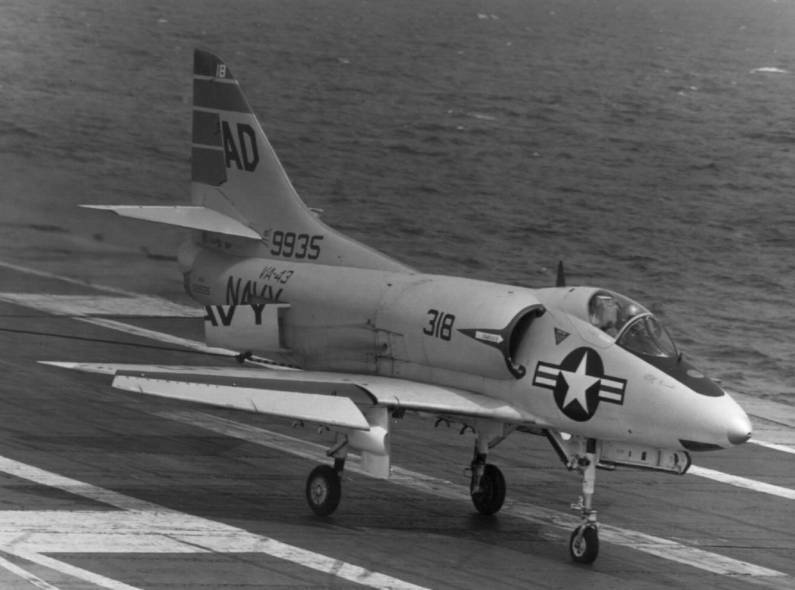 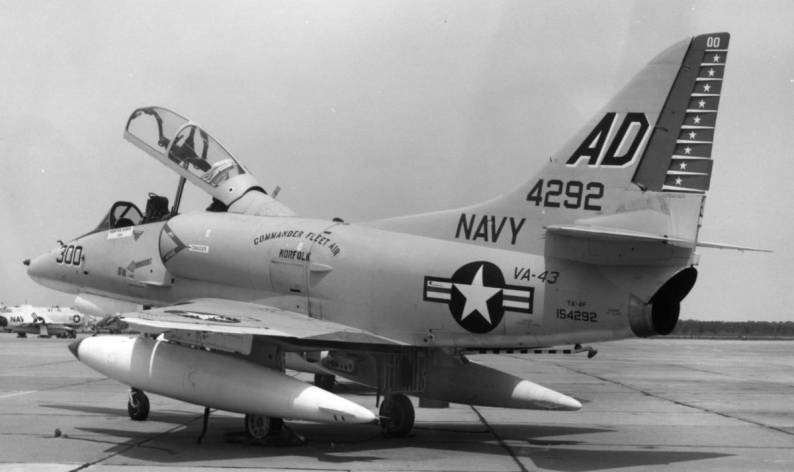 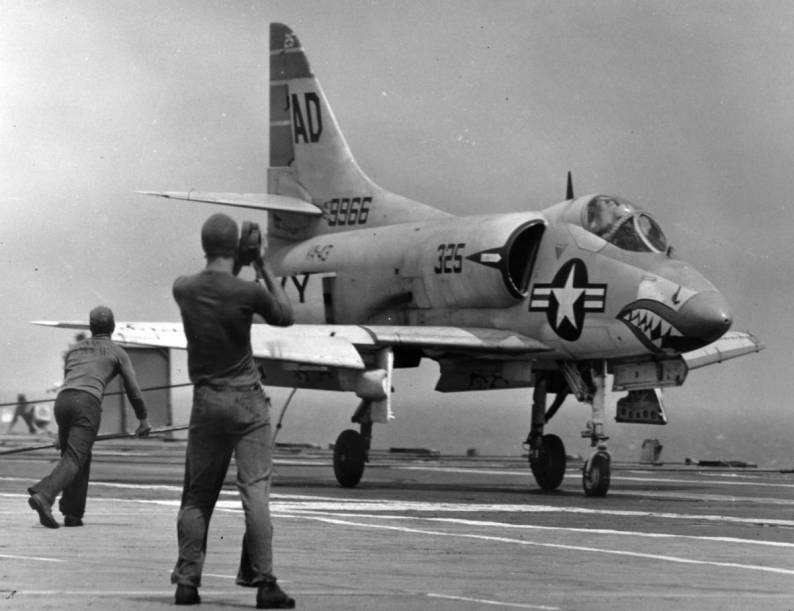 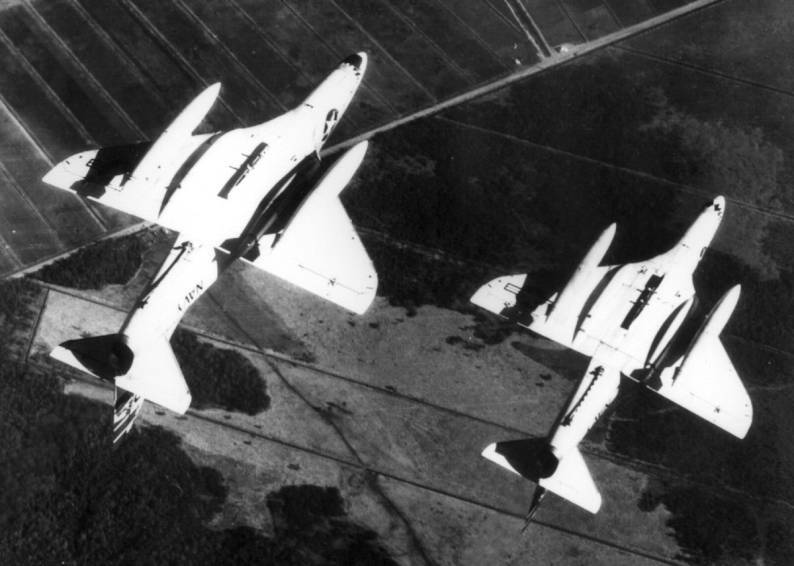 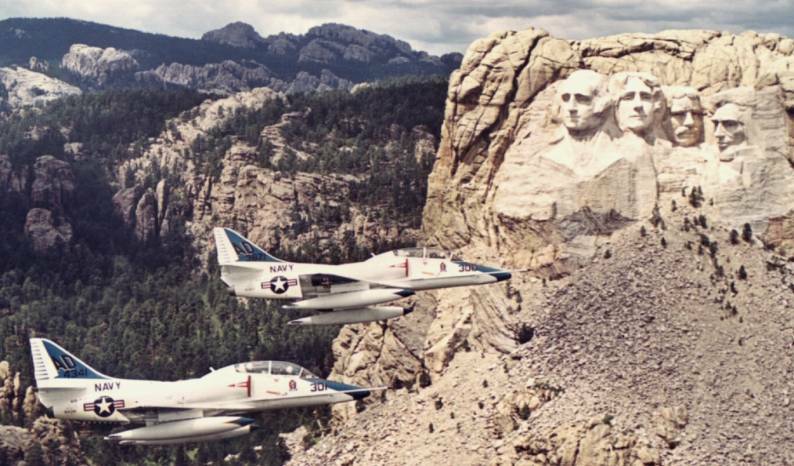 the unit received A4D-2N (A-4C) Skyhawk aircraft. 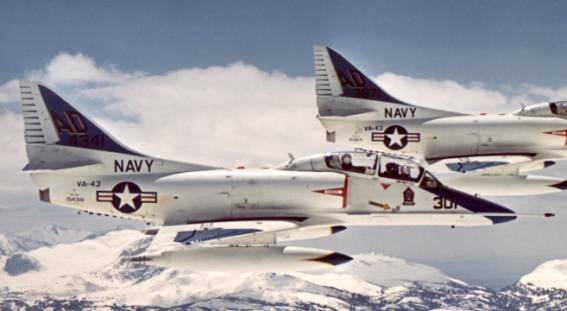 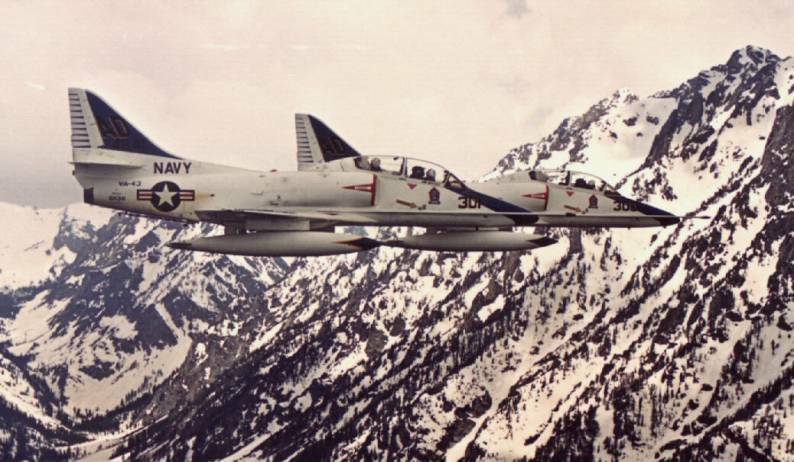 VA-43 mission changed to instrument training; the unit received TF-9J Cougar training aircraft - VA-43’s Skyhawks were transferred to VA-44. 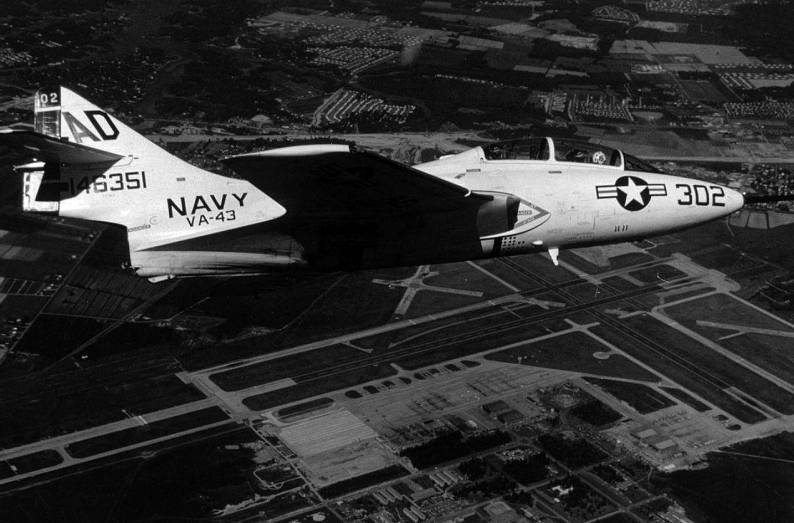 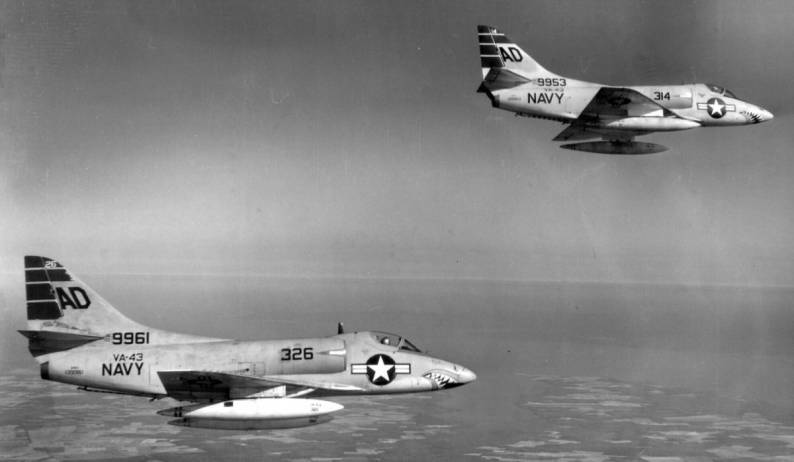 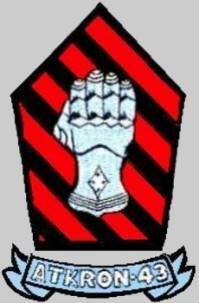 VA-43 was redesignated VF-43 - the Atlantic Fleet adversary squadron.